I got to go antiquing with my friend Tanya, she loves to find unique objects, I like to find vintage kitchen stuff. 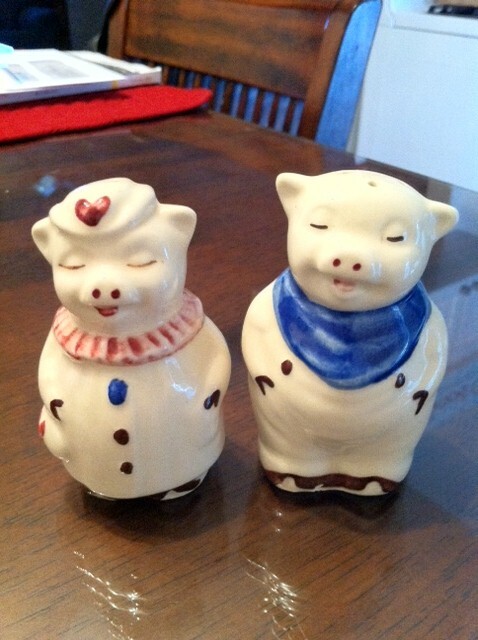 I found these little Shawnee Pottery Shakers, they were about 6.00. I knew they were worth more then that plus they were too cute to pass up! I got home and found the sets going on ebay for 22-27 dollars! Not a bad pick! Kitchens seem to take on a life of ther own, even though I wanted a totally retro ktchen, my shelves are fillng up with the cutest pigs or shaker sets! I love each piece as they were given by dear friends or found lovingly by me! We had a fun time looking at old photos and yearbooks and making up stories of old discarded items! It was a nice day out! Thanks Tanya! When charlie is busy with the race cars, I love to try new recipes, but they don't always live up to my expectations. I am not sure if it is because I am a really bad cook, no matter how hard I try. Or are these recipes really are not as good as they sound? So I ask my fellow bloggers try some of these recipes and see what happens in your kitchen! Please let me know your results if you decide to try them out! they were very bland, but my oven decided to pick it's own temperture so maybe the baking got a little funky on them?? I had high hopes for this but I guess living in OK you get melt in your mouth steak, here in Vegas you get old dried up shoe leather steak, I did not over cook it, it was perfect, pink and beautifully cooked but had no flavor (meats fault) and the sauce was kinda bland as well?? Next up: Fettucini with Creamy Portobello Gruyere Sauce I really thought this was going to knock me out of my socks but it fell flat, really flat. 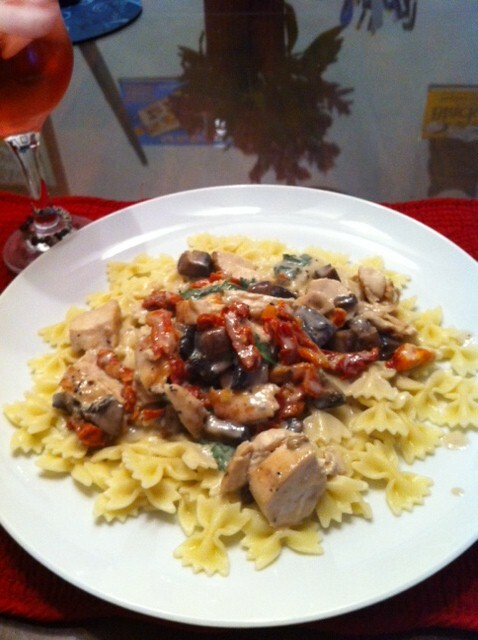 I did use bowtie pasta and I added some pan seared chicken but still BORING! I will have to say I had a terrific HIT! Chicken-Broccoli Penne Alfredo Her recipe was so delicious! I will be filing under my ultimate comfort food!! Really tasty! So there you have it, I have been busy cooking and spring cleaning and working for the man, it does have it's perks, I am getting a new laptop, faster than a locomotive, able to leap tall buildings in a single bound, yes, it is made of steel, Haha! My superman laptop, I call it my "laptop on steroids" will be here soon. My 3 year old laptop is a dinosaur in todays techno age, plus my hubby broke my screen by tilting it to hard and now I have vertical lines constantly while looking at the screen, so it was time....see you soon in cyberland with my almighty new laptop! I have been catching all the Nadia G's Bitchen Kitchen episodes! She cracks me up! I record them and then I have something fun to watch on my treadmill. She cooks great food and she also has a fish and meat guy, a spice guy, and an eye candy guy that make up the show. I have learned a couple new tips from her already. I like that she cooks in layman terms and not all fancy stuff! Her shows are themed and last night I got to watch The Last Supper show, all about cooking a meal to break up with your boyfriend..it was hilarious! So catch the show if you can, if you like cooking shows. The cooking channel will have her line up! One of my Dog Whistle necklaces on sale now! 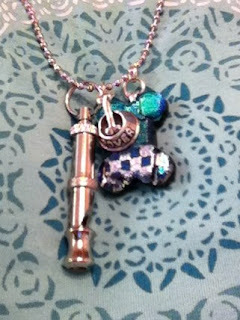 And please support you straving/traveling artists...every necklace counts! Chicken Piccata and Sauteed Spinach! Chicken Piccata always sounded intimidating, well, that's what I always thought! This was super easy and fast!! It really came out amazing, just like a dish I would get in a restaurant! I combined a couple recipes and techniques, I mainly went off of Pioneer woman's recipe but I know Chicken piccata needs capers, so I used allrecipes.com recipe as well, they even have a video of a chef cooking it! I served this with spinach sauteed in 2 cloves of garlic and olive oil, don't forget a dash of nutmeg for the spinach and some parmasan cheese! Fabulous! If chicken breasts are overly thick, slice in half, or pound until 1/2 inch thick. Sprinkle with salt and pepper on both sides, then dredge in flour. Heat 2 tablespoons butter and 2 tablespoons of oil in a large skillet over medium-high heat. Fry two of the chicken breasts at one time until golden brown on both sides, about 3 minutes on each side; a little longer if breasts are thicker, a little shorter if breasts are thinner. Remove to a plate, then add the other 2 tablespoons each of butter and olive oil. Fry the other two breasts until golden, monitoring the oil/butter mixture to make sure it doesn't burn. Decrease heat as needed! I put the cooked chicken on a pan and placed in a 200* oven to stay warm while I made the sauce. After removing the chicken from the pan, have the heat on medium. Pour in wine and chicken broth, and squeeze in the juice of two lemons. Whisk the sauce, scraping the bottom of the pan. Allow sauce to cook and boil until reduced by about half. Sprinkle in a little salt and pepper as it's cooking. Reduce heat to low and pour in cream and capers. Whisk together and allow to cook for a couple of minutes until sauce thickens. It did not seem to be thickening so I added a spoon of corn startch mixed with a spoon of water then added to the sauce, only because I like thick sauces and I learned that little trick a year ago! This was really nice dinner, too bad my hubby is at the races and missed it! Yummy! 70 more days until summertime! This would be a nice addition to my swimming pool! 70 more days, I can't wait!! hubby made me do it! The Kiss!! 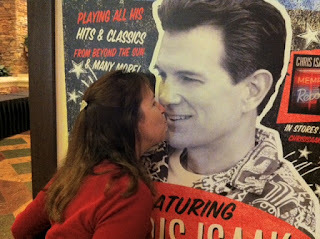 I just like his music, I would not really like to kiss him..but charlie saw the poster and thought it would be a fun photo op! Hoppy Easter, hope you had fun! I don't do Easter, too much chocolate and eggs and what not. Saturday found me and Charlie at the Green Valley Resort, I got a room where we got to sleep away from the house and all the stress we have had lately. We took a nap knowing we would be up late. 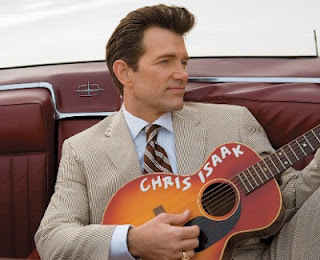 I had tickets to see Chris Isaak there that night. We met Tanya at 6:00 for dinner at Lucilles. Then her and I headed to the concert, Charlie went to the movies and played keno and drank beer. Chris was fabulous as usual, singing our favorites and then some from his new album of oldies but goodies, Jerry Lee Lewis, Johnny Cash and more! The album is called "Beyond the Sun"
Charlie and I stayed up late playing some games then hit the hay! We had to leave early because we had an appointment sunday morning to have the dish network guy hook up the new TV for over the treadmill. Walking is so boring so I broke the biggest rule I have...NO TV'S IN THE BEDROOM!! But it is over the treadmill and hard to watch from bed..so No worries there!! If it will help my hubby get on the treadmill then I broke the rule for good reason! So, yes, this poor guy comes out to the house on Easter and installs or tv and hooks up our dual reciever to it! Nice guy!! We have the protection plan so it costs us nothing!! 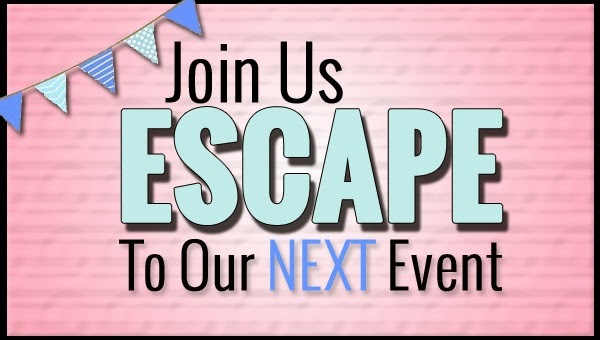 More fun on the horizon so stay tuned! The girls and I (me, tanya, colleen, winston) got a chance to go see Sylvia Browne, the world Renowned Phychic. We were excited, we wore our creamation jewelry, I had margarets rosary and photos of my mom and toby and margaret in my purse!! We wanted glory and recognition!! Come to find out, the bottom row of tables all got to ask questions, but then for the second tier, they pulled about 20 ticket stubs, guess what...My table and seat number got called!! I had the chance to go ask her a question....it is a very personal, close to my heart question so I will not be reveling it here, but I will reveal her prediction, if it comes true or not, later in life. So Stay tuned! It was an interesting show, and it really comes down to the tried and true method of following your instincts, the deep down feel it in your gut, hair on your neck standing up intuitions..that is about it, so we can all be phychics, just hone your instincts to the tee! Bam, your a phychic! Fun day out, and don't forget we all have a spirit guide, but you have to ask Sylvia what their name is, only she knows! Hee-hee! Hmmm, wanda, benita, alvin?? What could my spirit guide be named?? I did not ask that question! Maybe next time!! HA! PS, The Orbs in photos really are angels, really, I heard it straight from Sylvia's mouth!! We had our day in the sun, I sold a couple items, we ate real fry bread from an indian fryer. We talked to nice people. I went home and went to bed, I was exhausted. I think the past 2 months have taken their toll on me...I need lots of rest and relaxation....I am taking April off, no working on any projects or late nights, just staying home, cooking and baking and cleaning. I am trying my hand at making cookies like Bridget on www.bakeat350.blogspot.com They look so cool! thank you Tanya for selling with me and all your help, I really appriciate it! Tanya's western clutches, she will have them in her store soon! Tanya's jewelry and button cuffs! I had headbands, cuffs, and all my fun necklaces on display!